The September-November issue of The Valley Table has a terrific article n the state of distilling in the Hudson Valley. Many are mentioned and featured. A great up-date on the scene! Saratoga Living magazine Raves About Wineries in the Hudson Valley! The roots of American wine are right in our backyard. Brotherhood Winery, in bucolic Washingtonville, was established in 1839 and is the oldest continually operating winery in the country. Other wineries also harbor secret keys to the past. On Benmarl Winery, a 37-acre estate in Marlboro, the oldest vineyard in America grows. It also boasts New York Farm Winery license No. 1. That’s great. But… should you trade in your French Cabernet Sauvignon for a Hudson Valley Cab Franc? Until recently, there’d be few takers on that offer. For the last century, to say that Hudson Valley wine has not been as celebrated as international or California vintages would be a mild and polite assessment of the situation. My co-author, Tessa Edick, and I investigate why so few people seek homegrown wines in our book, Hudson Valley Wine: A History of Taste & Terroir. The unique terroir of the region holds the keys to its struggles and eventual ascendancy. Sounds counterintuitive, but stay with me here. In recent years, as we have become more invested in supporting local businesses, open-space initiatives as well as food grown just down the road, it has become increasingly clear just how important agriculture is to upstate New York. If agriculture is New York State’s economic engine, then our region’s grapes fuel that engine. The New York grape, grape juice and wine industry produces more than $4.8 billion in economic benefits annually. The fields of upstate New York have long offered some of the best farming in the country. For four centuries, the Hudson Valley terroir has served up some of the country’s most coveted vegetables, fruit, grain, dairy, meat, poultry and spirits from seed and soil, and America has responded in kind, making it one of the most beloved destinations in the world, a treasure along the Taconic. But it’s the 315-mile Hudson River that makes the hilly terrain suitable for vineyards. The Hudson River Valley runs from Albany and Troy to the southeastern city of Yonkers. The area sprawls over 224,000 acres, and 500 are currently planted. The rolling ’Gunks and the Hudson River insulate grapes from some of Mother Nature’s extremes. The river helps define what growers and drinkers (and the federal government) think of as Hudson Valley Wine. Officially, the Hudson Valley AVA was established in 1982 (modeled on France’s much-lauded appellation d’origine controlee, or AOC). There was a two-century-plus gap between Henry Hudson’s arrival to the region in 1609 and the firm establishment of the vineyards at Brotherhood Winery, a gap filled with sociopolitical conflict and confusion, false starts and failures on the grape-growing front. European grapes withered in the less hospitable climate of the New World and the native grapes left much to be desired. The wild grapevines colonialists and settlers found flourishing in the Hudson Valley — Vitis labrusca, riparia and vulpina — did not produce palatable wines. Vinifera is to wine as Chanel is to fashion — the best quality and most expensive and sophisticated choice in the industry. Vinifera species (there are hundreds of them) are beloved because they’re classic, dependable workhorses that deliver what the consumer wants (in a word, yum). Vinifera are native to the Black Sea and spread throughout Europe through careful cultivation. The earliest attempts to plant vinifera in the Hudson Valley were a bust, but they still account for the vast majority (over 95 percent) of the wine cultivated. These days, what we’re growing in the Hudson Valley is a hodgepodge of natives and vinifera, with an emphasis on hybrids. There are probably several dozen other wine-grape hybrids being planted in vineyards around the valley. The visionary, scientist and innovator-farmer Michael Migliore of Whitecliff Winery has spoken on several occasions about the small batches of experimental hybrids he grows in his vineyard, many so new and untried they don’t have names, just numbers. Chris Gerling of the grape-wine program at Cornell University works with several Hudson Valley growers on experimental plantings, and Michael works one on one with growers and winemakers across the Hudson Valley to help marry the art and science of growing grapes in our difficult climate. After four centuries of battling nature, as well as scientists and gutsy growers tinkering with hybrids, New Yorkers are enjoying homegrown wine that stands up to France and California’s. Even notorious Hudson Valley critics are taking notice. Wine Spectator has rated Millbrook Winery’s chardonnay and cabernet franc as good or very good, and rated the vineyard itself as one of the best wineries to visit in the area, which amounts to delirious adulation in the wine world. Similarly, the magazine bestowed a 96 on Baldwin Vineyard’s Landot Noir. And yes, celebrated Manhattan chefs are featuring Hudson Valley wines on their menus. Wine Enthusiast and the notoriously selective Smorgasburg (a rigorously-curated local food and libation festival launched in Brooklyn and now taking place in Kingston, New York, and Los Angeles) are eagerly promoting regional wines for the first time, with Millbrook Winery chardonnay and Hudson-Chatham baco noir getting the love. The Amorici Vineyard, Bashakill Vineyard, Benmarl Winery and Stoutridge Vineyard brands receive shout-outs from the Smorgasburg crew as destination-worthy vineyards with deliciously drinkable tipples. Let’s not get crazy though. We are not proclaiming that the Hudson Valley produces the best wine in the country — yet. Thankfully, the desire to drink homegrown grapes goes deeper. It’s pride of place. It’s about the changes New Yorkers, sustainably-minded eaters and drinkers, are implementing in their lives. It’s about celebrating our home turf, a patch of land where we dwell and hang our hats, and inviting visitors to tour and support those making a go of an art and science as old as dirt, while making a living working the land, celebrating the terroir and contributing to the beauty, culture and economic vitality of their surrounding community. Where to go? There are so many options. Here are a few recommendations. There are four main wine trails through the Hudson Valley and each possesses unique charms. Only two wineries, about 15 minutes away from each other, are on this trail. Both are worth a visit as are the adjacent orchards, farms, the Innisfree Garden, the Culinary Institute of America and the Franklin D. Roosevelt Presidential Library and Museum. This winery was founded in 1976 with the goal of creating French-style wines in a New World setting. Sipping its award-winning Seyval Blanc and delicious cassis in landscaped gardens, visitors will believe they’ve been ferried off to France. One of the most lauded wineries in the valley, earning a silver for its 2013 Cabernet Franc Proprietor’s Special at the 2016 New York Wine & Food Classic (commonly known as the Oscars of wine competitions). Millbrook also earned 90 points for its Cabernet Franc from Wine Enthusiast. Restaurants typically carrying one Hudson Valley wine on their list frequently carry a Millbrook. The trail is much more than wine; it also features craft beer, cider and spirits. Of all the trails, it best exemplifies the current craft-DIY-local-everything zeitgeist that has taken possession of the American imagination. The Hudson-Chatham Winery is in Ghent, where wine is painstakingly produced by hand in a 100-year-old-press. Au natural, baby. The tasting room features noshes to match; think artisanal cheese, honey and jam. Wine Spectator and Wine Enthusiast have both give their austere, much-desired stamp of approval. Detour: The Winery just opened a tasting room in Troy for those who seek the country flavor, but want local convenience. Sweet and savory light fare is available. 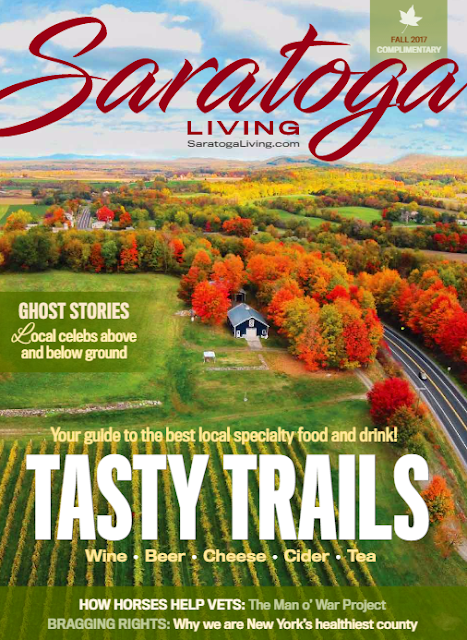 This trail includes 15 wineries between the Shawangunk Mountains and the Hudson River. Located 60 miles north of New York City, there’s a lot of well-heeled foot traffic. The scenery is epic… the history is unbeatable. America’s oldest continuously operating winery — through Prohibition via the ol’ Communion Wine loophole — the winery has always been firmly rooted in the past, with a village of 19th-century buildings, sunny courtyards and one of the biggest hand-excavated underground cellars in America. The winery sources grapes from the Finger Lakes as well. The Wine Enthusiast-approved Benmarl has bragging rights to New York Farm Winery license No. 1, and proudly led the way in the Hudson Valley toward estate-grown grapes that compete on the world stage. Like many wineries in our region, it’s a family affair. Visitors can get a taste of the fun — and hard work — involved in running such a high-caliber family business at the Annual Harvest Grape Stomp Festivals. Don’t miss the Baco Noir or Cab Franc. This is in our neck of the woods, and perhaps not surprisingly, is often considered the most fun. With wineries sprawling from Grandma Moses country in Washington County to the downtown bustle of sleek horse-race capital Saratoga, this is the most philosophically, culturally and geographically diverse wine trail. With live music, trivia nights, pasta dinners and a rustic Adirondack-style tasting bar (not to mention a picture of a reclining — tipsy? — horse on the logo), these hobbyist winemakers turned pros are as ready to chill as your favorite college roommate. Much of the wine is sourced from the adjacent Finger Lakes. Ten years after opening its first tasting room at Lake George, the Adirondack Winery has opened a second in Bolton Landing. The winery has grown from a 1,000-case-per-year micro-winery in 2008 to a 13,000-case winery, shipping to 35 states and almost 400 liquor stores and restaurants in New York. In addition to locally made wines, the tasting rooms offer delicious bites for curd nerds (Nettle Meadow Farms, Adirondack Cheese Company)… and chocolate. In 1969 the Peterson family started farming grapes for other wineries, growing to three wineries (Swedish Hill produces 60,000 cases per year, while Goose Watch on Cayuga Lake and Penguin Bay on the Seneca Lake Wine Trail are smaller) and three tasting rooms, one in Saratoga on this wine trail. The grapes are sourced from the Finger Lakes. Victory View Vineyard is a family-owned farm winery specializing in growing cold climate grapes and producing farm bottled wines. The vineyard’s soils, southern exposure and temperate climate allow them to grow grapes using sustainable methods. Sip the revolution. It’s right down the street. If you’re curious about taking a deeper dive in the Hudson Valley Wine history, pick up a copy of Hudson Valley Wine: A History of Taste & Terroir on Amazon, or better yet, at our favorite local bookstore, Northshire, in Saratoga Springs. All proceeds benefit the FarmOn! Foundation in Copake, NY.